Choosing a CPA review course to help you prepare for the CPA exam is a very important decision because it directly impacts whether or not you’ll pass your exams and become a Certified Public Accountant. Finding the right CPA prep course will make or break your attempts to pass this notoriously difficult test. With so many top-rated CPA study materials out there to choose from, how are you supposed to know which ones will actually work for you? The key is to look at each CPA prep course and see how it fits your learning style and strengths. Trust me. The entire process of becoming a CPA is challenging, but the exam is the biggest hurdle. This is why choosing the best CPA exam prep course is crucial. Quite honestly, the difference between successfully passing the exam or failing it depends largely on how well your study materials prepared you. There are many who end up purchasing the wrong CPA course the first time, fail the test and end up having to pay for two CPA courses before they find the right one. Using the wrong CPA prep course could cause you to fail a section or two and cost you months of CPA study time along with the feeling that you can’t do it. Unfortunately, most people who fail a section get discouraged because they think they aren’t smart enough to pass. That couldn’t be farther from the truth. Most people who fail a section do so because their CPA exam prep materials didn’t prepare them well enough. Think smart and pick the CPA review materials that will work for your study habits and lifestyle. I know you can pass the CPA exam with the right course just like I did. That’s why I’ve personally used and tested all of the major online CPA exam review courses out there and summarized their pros and cons to help you pick the best one for you, no matter which section of the exam you take first. I hope this comparison chart and my product reviews will help you make the right decision and find the best one, so you can start your career as a CPA! What is the Best CPA Review Course to Buy In 2019? 1 What is the Best CPA Review Course to Buy In 2019? 12.1 Do I need to buy CPA review course in order to pass the CPA exam? 12.2 How Do I Choose What CPA Exam Prep Course is Right for Me? 12.3 How to identify your favorite learning style for your CPA review course? 12.4 How much should I spend on CPA review course? 12.5 Are expensive an CPA study guide better than a cheap CPA review course? 12.6 How to make a CPA exam study schedule? 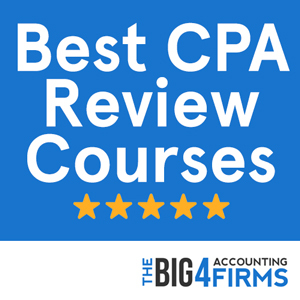 12.7 How much does a CPA review course cost? 12.8 How was does it cost to get a CPA and become a Certified Public Accountant? 12.9 What is the CPA Exam Pass Rate? 12.10 Can I get my CPA License of Certification Online? 12.11 How long does it take to become a Certified Public Accountant? 12.12 Can you become a CPA without an accounting degree? 12.13 What if I fail a CPA exam section? Is that okay? 12.14 How to overcome a failed CPA exam attempt? 12.15 How to overcome CPA exam stress? 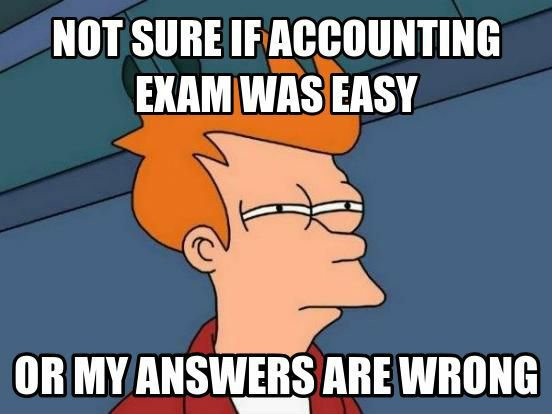 12.16 Which CPA exam section should I take first? Website Get Started! Get Started! Get Started! Get Started! Get Started! Get Started! Get Started! Final Review Cram Course Yes! Yes! Yes! $165 per section Yes! No Yes! Mobile/iPad App Yes! Yes! Yes! Yes! No No Yes! Audio Course Yes! Yes! No No Yes! No Yes! Flashcards Yes! Yes! Yes! Yes! No Yes! Yes! FREE Trial Start Now! Start Now! Start Now! Start Now! Start Now! Start Now! Start Now! Now review the top 10 CPA Review Courses listed below, noting their teaching styles – make sure they match your preferred learning technique. To help you start your search, here’s an overview of ten of the best-known CPA exam review courses – read on and take your pick!s. The Roger CPA exam review course is known for being exciting and entertaining. If you’re a visual learner and like breaking problems down on the whiteboard, this may be the course for you. make this review course one of the best on the market. Roger Philipp, CPA teaches the course in a style known as the Roger Method – a style that will keep you from dozing off during the lectures. Roger’s personality and visual teaching will help you get through many hours of difficult concepts, as well as understand topics in depth. If you are a visual learner and find it difficult to maintain attention and motivation, this is a big advantage. The course also presents you with useful memory aids to make recalling essential information easier. The important concepts are covered without overwhelming you. The textbooks themselves are laid out in an intuitive fashion and explore the content in more depth. If you tend to do most of your studying online, you will appreciate the Roger CPA online platform, which allows note-taking during video lectures and video bookmarking to review difficult sections at a later time. What is more, the course is not extremely expensive and if you switch from a different review course you are eligible for a Fresh Start discount. You can also benefit from an audio course taught with the enthusiasm specific to Roger for an extra fee. The lectures may be a little fast-paced for some students, so if your English is not very good or if you prefer slower lectures this may be a problem. What is more, the lectures can sometimes explore areas that are not relevant to the exam. With 4,000 multiple choice questions and 200 simulations available, the course does not offer as many practice questions as other courses such as Wiley or Gleim. Another issue with the Roger course is that it has an expiration date – access is valid only for 18 months. Wiley’s CPAexcel Review course divides the study material into manageable chunks and is thus the ideal choice for busy independent learners. 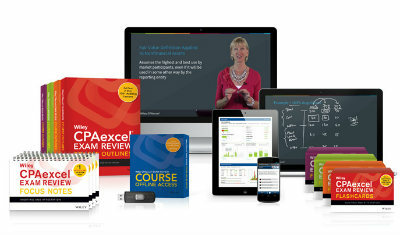 The CPAexcel course has garnered an excellent reputation. The well-organized lectures with running times between 2 and 20 minutes are very convenient, especially if your schedule is too busy to spend large blocks of time studying. The bite-size lessons can make your study schedule less daunting and easier to tackle step by step. At the same time, the study material is very comprehensive and covers the exam topics in detail. Moreover, the videos complement the study material well and the practice questions ensure that you walk into the exam well-prepared. To make sure that there are no surprises on the test day, the simulations adhere to the CPA exam computerized format to the letter. The wide range of challenging multiple choice questions allows you to practice until you feel fully confident. Another advantage of the CPAexcel course is the user-friendly platform that fully explores the potential of the online medium. 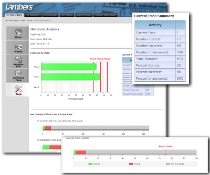 personalized analysis to guide you on your way. The CPAexcel course is also accessible on many different platforms and features unlimited access with no expiration date and free updates. Depending on the type of learner you are, you might find the video lectures helpful or boring – some of the lectures fail to engage the students. The lack of live classes and interaction with instructors means that the CPAexcel course is better suited to those who prefer self-study. Another drawback is the fact that this heavily online-based course can seem daunting at first. There are many choices to make in order to have a personalized study experience. While this can be somewhat time-consuming and confusing, it will make your studying more efficient in the long run. As the course is computer-based, you will need to be comfortable with doing all your studying online. While not particularly affordable, the CPAexcel review course can make a great difference to students who have to juggle other commitments with studying for the CPA exam. The course has been endorsed by one of the Big Four and has been recently acquired by Wiley. Well-established, but less expensive than Becker, CPAexcel has a great reputation for helping busy professionals pass the CPA exam. The best-known CPA review course is undoubtedly Becker CPA Review. It is highly recommended for its large bank of relevant practice questions, the well-written textbooks, and the structured materials; but the cost and the format of its live classes and video lectures are often quoted as drawbacks. Whatever you decide, don’t choose Becker because of the prestige. If you need structure and are an auditory learner, Becker could be a good choice; if you’re more of a visual learner or have to pay for the course from your own pocket, there are other courses that may suit you better. This well-established course features comprehensive and well-organized material to guide you through the information. The regular updates mean that you’ll have access to the latest material – although you’ll often find yourself paying extra for it. The notes and textbooks are well-written and easy to follow, while the 6,000 multiple choice questions offer plenty of opportunity to practice and tend to be very similar to the questions you’ll encounter on the exam. If you need some structure to get motivated, the online and live CPA courses offered by Becker can provide you with a tight schedule that will soon turn into an efficient studying routine. Becker is the most expensive CPA review course available and will set you back around $3,400. Unless it is paid by your company, this is a big investment – especially considering that some of the updates are also paid. Becker also has an expiration date. The lecture format sometimes involves a highlighted and annotated version of the textbook, which may not be very helpful to visual learners or to those wishing to understand concepts in depth. Live lectures can also vary in quality – some of these classes are simply lecture videos projected to a classroom. Their customer service and difficulty in getting explanations is also cited as one of the reasons of student dissatisfaction. In conclusion, the fact that Becker is the most prestigious and expensive review course doesn’t mean that it’s the best-suited to your study habits – so do your research before making up your mind. Gleim is another affordable alternative that stands out through its extensive material. With an impressive number of multiple choice questions, detailed textbooks and an included audio review, Gleim is the way to go if you are ready to put in the effort and need the right study materials to support you. 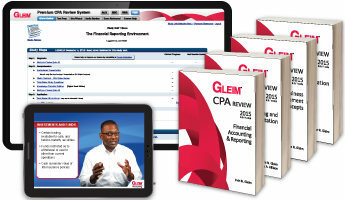 Priced at around $1,000, Gleim CPA Review is three times more affordable than Becker and includes an audio review for each section of the CPA exam for free. This downloadable audio material can make an excellent companion on your daily commute or jog. With over 9,200 multiple choice questions and 1,000 simulations, Gleim supports the old adage that “practice makes perfect”. The various types of simulations available will help you feel confident and prepared before the exam. The modular approach to studying, thoughtful design and helpful videos create a great overall experience. By being part of the Gleim CPA Review System, you will also benefit from the help of a Personal Counselor in finding difficult answers and creating your own study plan. The textbooks are very comprehensive and detailed and feature a lot of technical jargon. While this may suit some users, others may find themselves overwhelmed. As the course is available in Premium and Traditional formats, some important features are only available to Premium users at a higher cost. These include access to expert help and instructor videos as well as unlimited access until you pass the exam. If you’re looking for an affordable, personalized review course that doesn’t spoon-feed you, Fast Forward Academy has a review course for you. Nobody will hold your hand through the course, but you’ll get feedback on the areas in which you need to improve and you’ll be able to manage your time better. 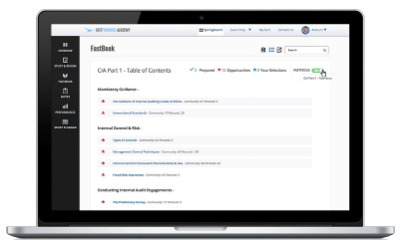 As you take practice exams, the Fast Forward Academy Course will point you towards the information that you need to review in order to improve. A new personalized simulation will then test your knowledge in those specific areas. The feedback will help you concentrate your efforts towards the areas that matter most. Another main advantage of Fast Forward Academy is the over 5,800 multiple choice questions drawn from previous CPA exams. This extensive database will ensure that you’ve had plenty of practice before the big day comes. In addition, you can access free trials of other features such as the study planner or more multiple choice questions (in case the thousands already available aren’t enough). Finally, the course is affordable (around $850 for the online version) and can be paid in four installments. While the Video Explanations will help you with the most difficult questions in each section, the Fast Forward Academy course does not contain video lectures. If you are looking for structure and guidance, this may not be the course for you. But if you study well independently and learn through practice, the course has everything you need. You can also use it to complement other study materials with its large question database. Fast Forward Academy is relatively newer and less established than other review courses, so it may be more difficult to assess its quality before enrolling. On the flip side, students may find that the lower cost compensates for that. 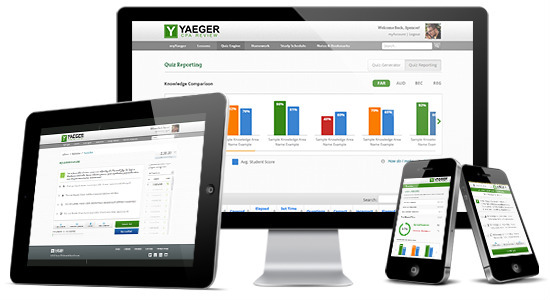 Yaeger CPA Review is known for its in-depth material and traditional style lectures. Based on the Wiley books and accompanied by explanatory instructor videos, Yaeger is an affordable alternative for those wishing to explore the study material extensively. The video lectures explain concepts step by step, ensuring a deep understanding of exam topics. You will navigate difficult problems and multiple choice questions with the help of qualified instructors. The Yaeger course is probably the closest to a classroom experience, so it can be a perfect fit if that’s your ideal studying setting. Over 4,000 multiple choice questions will help you practice what you learn. The Yaeger course is also well-known for great customer support, with a live instructor hotline to provide personal assistance with any challenging questions that you might encounter. The instructors on this course do their best to be available to students at all times. The traditional lecture format may not be everybody’s cup of tea – after all, you’ve already taken plenty of accounting classes. If you feel like you learn faster independently, this course may not be for you. Other drawbacks are the extra fee charged for an audio course (over $400) and the expiration date (access is provided for 18 months). as well as an effective audio course. The Lambers Review course is affordable, yet established, having been around for over 45 years. It also offers a money-back guarantee should you use the course and fail the same exam twice. A strong point of the Lambers course is the audio review, which makes it easy to study on the go. Listening to professors work through difficult problems can be very helpful, especially if you learn well from explanations. The iPod course also helps you utilize the time spent on your commute or in waiting rooms. Most of the video lectures are well-structured and very clear. Qualified instructors explain concepts and work through problems to ensure an in-depth understanding of the topics. There are over 130 hours of lectures that can be used without restrictions for as long as you need to. And as a bonus, the software is also easy to navigate and includes one year of free upgrades. Finally, the course also includes around 4,300 multiple choice questions to help you prepare for the exam. On the downside, the Lambers video lectures are not very entertaining and can vary widely in terms of quality. Mistakes may also creep up in the simulations or the textbook itself, so make sure to double-check concepts that you don’t understand well. Some topics may benefit from further explanation, so this may not be the best course for somebody who has been out of university for a while and does not remember many of the basic concepts. Another issue with Lambers is that it does not have a widespread customer base and thus it is much more difficult to gauge whether it is the right choice for you. Do I need to buy CPA review course in order to pass the CPA exam? Although I would like to say you don’t need one, the truth of the matter is, yes, everyone should buy some type of CPA prep materials. You’ll need a set of CPA study materials for variety of reasons. College doesn’t teach you everything that’s on the exam. You can’t really rely on your college courses to fully explain it every topic that’s covered on the exam. That’s where a prep course comes in and fills in the holes. You can’t remember everything you learned in college. It’s impossible to remember everything you learned in all of their college classes. Plus, the exam is weighted differently than your college classes. Some topics are worth more than others and some topics are covered at all. A proper CPA exam study guide will not only help you fill the knowledge gaps from your college courses, but it will also help you study the things that are actually going to be on the exam. It’s just plain smart to get one. The cost was study guide is far cheaper than having to retake one or two sections multiple times. Not to mention all of the wasted time and built up stress you’ll have if you fail an exam section because you didn’t have a study guide to help you prepare. How Do I Choose What CPA Exam Prep Course is Right for Me? If you sit down and think about each one of these things, picking the right CPA course will be pretty easy. Let’s look at each one in more detail. 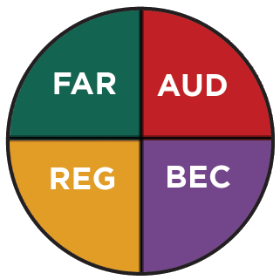 How to identify your favorite learning style for your CPA review course? A learning style is the idea that people learn differently and understand information better when it’s presented in different ways. You might have subconsciously realize this while studying for some of your college classes. For instance, you might understand information better when it’s presented to you in an example by an instructor, while your friend might learn better just by reading the textbook. This make sense and you should take advantage this when studying for the CPA exam. But first, we need to figure out what learning style you are. Different review courses specialize in different teaching techniques. The key is to pick the CPA course that matches your learning style. We’ve noted these for you in each product review. How much should I spend on CPA review course? Are you paying for your study materials yourself? Will your employer be covering you? Can I get a CPA scholarship? First, figure out what your learning style is and look at the courses that apply to that style. Then figure out how much money you have and how much you can afford to spend on the study materials. One thing to remember is that this is an investment. Successfully passing the CPA exam will likely improve future pay, give you access to promotions, enable you to take on more responsibilities. Don’t go straight to the least expensive review course. Trust me; failing the exam of one or two times is more expensive than just buying the right CPA review course to begin with. If you haven’t asked your employer or looked for CPA exam scholarships, make sure to do so. Are expensive an CPA study guide better than a cheap CPA review course? This is a pretty common misconception. As consumers we are trained to think that the more expensive product is somehow always better and higher quality. That’s not always the case. Take Becker CPA review vs Wiley CPAexcel for example. Becker is about two times more expensive than Wiley when you add on all the extra features that Wiley comes with. Is Becker CPA twice as good of a course as Wiley CPAexcel? Definitely not. Now obviously you can’t take this to the extreme and compare $100 course to a $1,500 course, but you should look at the extremely expensive courses with a hint of skepticism. Honestly, any course that is over $1,200 and matches your learning style should be good enough to help you pass the exam. How to make a CPA exam study schedule? Everyone has different responsibilities in life. Some people are married. Some people have kids. Some people are working at two and three jobs. Everyone has a different schedule, so naturally I everyone will have a different study schedule. The important thing is and when you study; it’s that you study. The key to passing the exam is study consistency. You need to figure out when you can set aside one or four hours a few days a week to do nothing but study. Keep your schedule consistent, so that you’re studying the same days each week at the same times. I know this sounds crazy structured, but it’s he only good way to make consistent steady progress. If you pick your exam date, map out your study plan or study schedule, and actually stick to it, you’ll have no problem passing the exam. As the saying goes, studying for the exam it is a marathon not a sprint. How much does a CPA review course cost? How much is the Becker CPA Review Course? Becker CPA is by far the most expensive course on the market today, but just remember that more expensive isn’t always better. Some people have a lot of luck with Becker and some people hate it and end up failing the exams several times in a row. The price tag doesn’t make the course good or right for you. You should be focusing on a course that fits your learning style and one that’s going to help you pass the exam not necessarily the one with the biggest price tag and the biggest name. 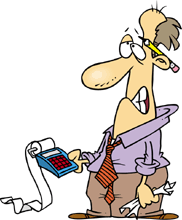 How was does it cost to get a CPA and become a Certified Public Accountant? According to the AICPA, the average cost to become a CPA is approximately $1,500– not including any study materials. Here’s a breakdown of all the major costs associated with becoming a CPA and getting in your CPA license. Keep in mind that all of these fees vary from state to state, as do the requirements. For example, some states don’t require candidates to complete an ethics exam at all while other states only charge $50 for CPA license. Contact your state board or NASBA for the exact cost to become a CPA in your state. What is the CPA Exam Pass Rate? According to the AICPA, the CPA exam pass rate averages approximately 50% for each CPA section. This average varies slightly from one testing window to the next and from one year to the next. This only makes sense since the exam format changes almost every year as well as the overall information covered on each exam section. Generally the first two testing windows have lower CPA exam pass rates from the second two testing windows. There’s a lot of speculation as to why this is the case, but no one really knows for sure and the AICPA isn’t explaining the differences. Personally, I think the differences and past rates between the first half of the year and the second half come down to new exam formats and working schedules. Typically the format of the CPA exam coincides with the calendar year. Thus, the first group of candidates taking a new exam format are in the first-quarter. It makes sense of the first group of people would have a harder time with the new format than later groups. Likewise, many people taken the CPA exam are also working during tax season. It’s understandable that many of these people will fail the exam in the first quarter because they’re busy working 80- 100 hours per week and trying to study at the same time. Don’t let these CPA pass rates scare you. Anyone can past the exam their first time if they’re willing to set a schedule, stick to it, and study consistently. Can I get my CPA License of Certification Online? The short answer is, no, you cannot become a CPA completely online. You can get an online accounting degree that will meet the minimum educational requirements to sit for the CPA exam. You can also take a online CPA Study prep course to prepare for the exam. You will however have to take the CPA exam at a Prometric testing center. You can’t take the actual CPA exam online wherever you’d like. How long does it take to become a Certified Public Accountant? Obviously, these are just rough averages. Many people are able to become certified in much less than six years while others take almost a decade to get their license. Yes, you can become a Certified Public Accountant without an undergraduate accounting degree. However, if you don’t have a bachelors degree in accounting, most states require that you have a masters degree in accounting or masters degree in business that meets the minimum required accounting courses. Keep in mind that educational requirements are set at the state level, so you stay has different requirements. If you were thinking about becoming a CPA and don’t know if you meet your state’s minimal requirements, you should contact your state board and send them your college transcripts. What if I fail a CPA exam section? Is that okay? Don’t worry about it if you fail to CPA exam section. You’re in good company. The vast majority are Certified Public Accountants failed at least one exam part during their certification process. Believe me. No one is going to ask whether you passed all four sections the first time or whether you failed one or two of them. The only thing employers care about is whether you have your CPA or you don’t. Don’t worry about failing. Just take the exam is many times as you need to pass. How to overcome a failed CPA exam attempt? Feeling a section of the CPA exam is tough mentally, psychologically, and physically. You work for weeks weeks and weeks on end studying for a section just to find out that you weren’t good enough and you failed it. It’s a huge blow to your self esteem and down right depressing thinking about having to start all over studying again. Don’t worry it is possible to come back from a failed CPA exam attempt. You just need to stay positive and look on the bright side. Studying for section should be easier the second time around, right? Try to think about what you did wrong on the exam and what you did wrong in your previous study sessions. Figure out what you need to study more like the areas you had a hard time with on the exam. Also, take a look at your last study schedule and see how you can improve it to have more focused study sessions this time around. How to overcome CPA exam stress? Stress and test anxiety is one of the biggest reasons why people fail the CPA exam. It’s difficult to read questions and analyze answers when you are stressed to the max just worried about taking the exam. The best and easiest way to overcome CPA exam stress and test anxiety is just to be prepared. Picking out a CPA exam prep course that fits your learning style and helps you focus on the key topics that’ll actually be on the exam will go away long way to reducing or eliminating your stress. You should take the CPA exam section that you feel most comfortable with first. For example, if you worked for the last several years as a tax accountant, you should probably take REG first. Taking your most familiar section first will not only help you pass your first section and give you a boost of confidence and motivation to continue onto your next section, it will also provide useful insurance in case you are up to 18 month window toward the end of your CPA journey. For instance, if you were unable to pass all four sections in the 18 month window, your first passed section would expire and you have to take it over again. If you took your hardest section first, you have to take it again. This isn’t a great plan. I would much rather take my easiest section twice than my hardest section. Whether you thrive on video lectures, mnemonics, self-study, relentless practice or audio explanations, there is a CPA review course for you – and indeed many that feature all of these elements. Shop around before making a decision, as your studying will be structured around the CPA review course that you choose. If you know your study habits and your needs, the right course will guide you through these difficult months, motivate you and keep your studying efficient. Most students find that independent reading and freely available simulations are not enough to help them pass – and with a 49% CPA exam pass rate in 2018, you don’t want to be taking any chances. Find the right balance between price, study material, practice questions and software – even if that means combining several different sources. In the end, it’s your own hard work and effort that will help you pass the CPA exam; make sure you choose the CPA exam review course that can focus your efforts in the right direction and that makes sitting down in front of your computer every day a little bit easier.